For those of you who are lucky enough to have iPads, apps are some of the most inexpensive materials that you can find. For productivity and organization tools alone, you can find a lot for very little cost. 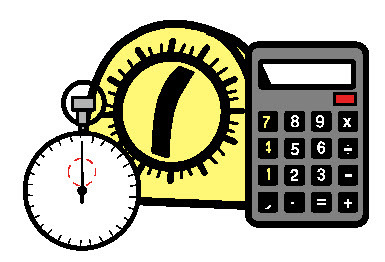 I can't tell you how much money I spent over the years on tools to make my life easier; kitchen timers, calculators, counters, stopwatches, tokens, graph paper, and books with data collection sheets, ready-made forms and notes, etc. billed as "time-savers for teachers." I now have a timer, stopwatch, calculator, and even a flashlight on my phone. A visual timer app takes the place of my kitchen timers. I have apps that calculate ages and percentiles, count responses, and graph progress. And, I couldn't do without my Dropbox, OneNote, and iBooks. Here are some of the apps that make my life just a little easier. Next Post - A chance to win one of three apps from the Mobile Education Store.